Are you apartment hunting in Maryland? 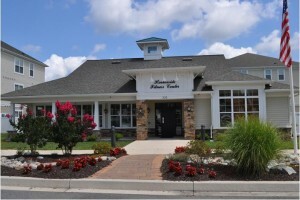 Joppa is home to some of the best luxury apartment communities in Maryland. How can you find a great luxury apartment for in rent Joppa? We are here to give you some pointers to help you make the right luxury apartment choices. Luxury apartments are modernly design apartment units that include open spaces and spacious bedrooms. The luxury apartments have high-end kitchen appliances,quality cabinetry and quality countertops. See the full list of luxury amenities you could desire by reading about Harborside Village luxury amenities. Harborside Village offers affordable luxury apartments that truly add convenience to any apartment lifestyle. When you are renting, you want the best of the best of luxury amenities – state of the art fitness center, quality air conditioning, in unit washer and dryer, outdoor pool, fun clubhouse and more. The Luxury apartments at Harborside Village are not ordinary apartments. The luxury apartment units are designed with quality lifestyles in mind. We want you to feel comfortable and relaxed at your apartment, while reaping the benefits of great values. This entry was posted on Friday, May 30th, 2014	at 4:23 pm	. Both comments and pings are currently closed.